"Tieless Tuesdays" 5:30pm - 9:30pm featuring live Jazz, 1/2 price bottles of select wine, special menu, and complimentary parking. Retro Thursday (every Thursday) 5:30 pm - 10:00 pm, special menu along with our regular dinner menu, Family Gatherings, Bridal Showers, Meetings, Small Events, and more. We were promptly greeted and quickly seated. Three staff members would come to our table throughout the courses so we never had an empty plate sitting or an empty water glass. But that pales in comparison to the absolute delight that was the food. Never have I had a piece of meat so tender and delightful as the Bison at La Ronde. We had a great time. Our server Jason was friendly, knowledgeable, and helped to make our evening special. The food was outstanding. The only small complaint I have is I couldn’t help notice they were not enforcing the dress code. Sweat pants and jeans are not my idea of smart casual. A friend of mine was visiting from out of town. 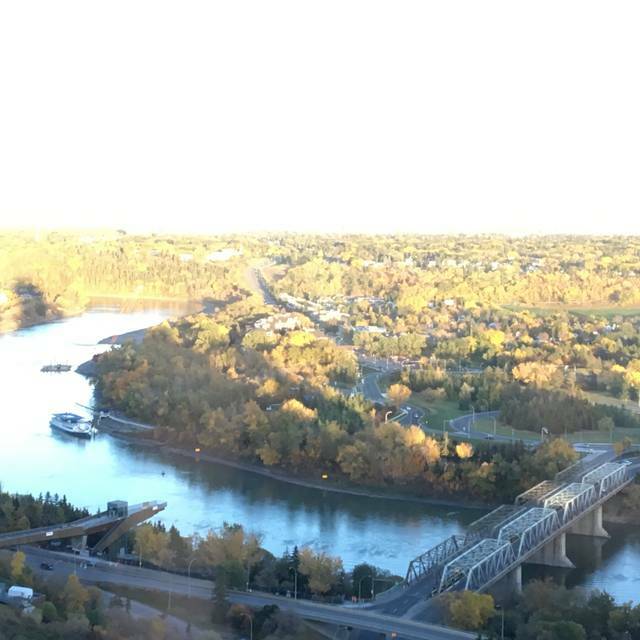 We chose La Ronde so that we could take in the view of the city. Our waiter (Colin M) was an excellent waiter - attentive to our needs, made us feel at ease with his sense of humour, explained the menu items to us, and answered any questions we had. The maitre d' was very welcoming, made sure our "stay" at the restaurant was pleasant, and thanked us for choosing La Ronde as our dining choice. The overall experience was nice. Although we found the food to be way over priced for the value of what was actually on the plate. Therefore I would not recommend this restaurant to a friend. La Ronde is always a great place to celebrate a special occasion. If I could give the service more than 5 stars I would! 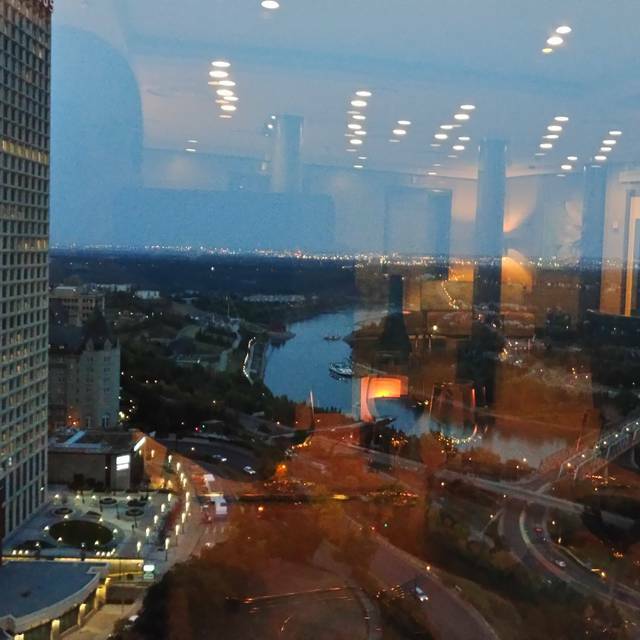 The best view in town and the perfect elegant atmosphere for a special evening. Everything was outstanding. My mom really love it. Great bday. She would like to go every season. It was an outstanding evening. 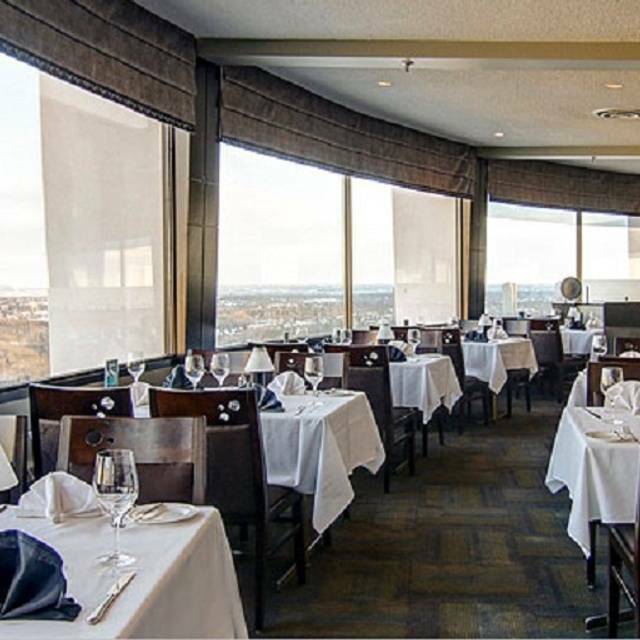 Edmonton's only revolving restaurant is truly a hidden gem on the edge of the river valley. Was there for the Retro Thursday night menu, the steak Diane and chicken cordon bleu was done to perfection. 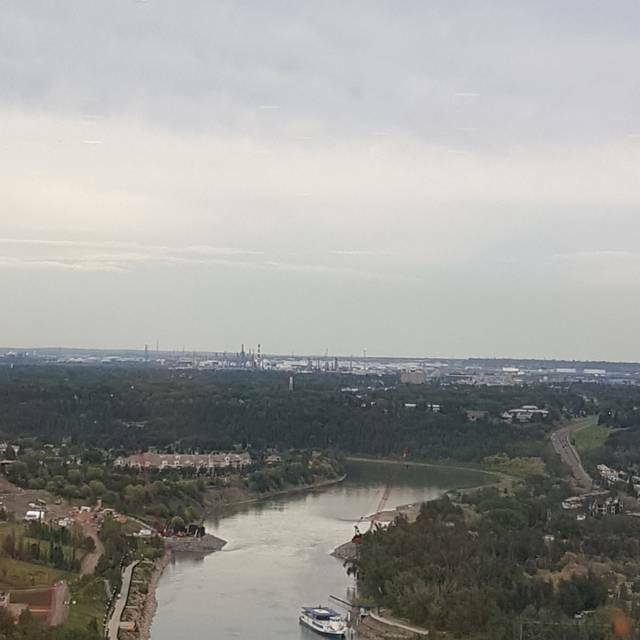 Truly a hidden gem on the edge of the river valley in Edmonton. 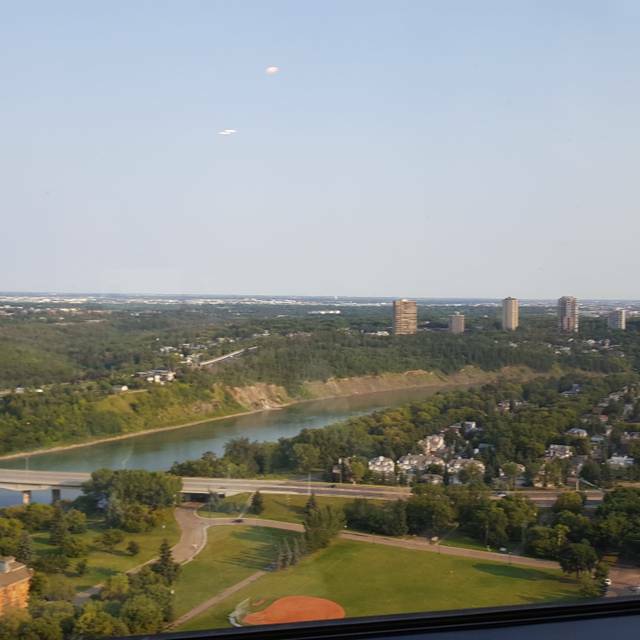 As the revolving restaurant comes around for the view of the river valley is quite fantastic. Oh yeah, the food and service, INCREDIBLE !!! Warm welcome. Our waiter was just excellent. Very attentive and helpful in terms of explaining the menu. Great deals on wine as it was Tieless Tuesday. And free parking. The place is fantastic for a special event! The servers are very friendly and accommodating. The manager is phenomenal and takes the time to converse with you to welcome you to the restaurant. This place is highly recommended; you will not be disappointed! Beautiful day with family member visiting from Ireland. Amazing to see as her husband and brother in law actually we're part of the team that built the Chateau so there is history there. Service was amazing, friendly staff and food outstanding. The food was amazing, the experience just as amazing! Can’t wait to go back in the evening to experience the view with the city lights! I took my fiancé out for our 2nd anniversary and had a unbelievable time. Our waiter(Dean). Was absolutely amazing. Food and service was top rated. The view was beautiful and even stayed to watch the sun go down. It’s wasn’t overly busy and could hear one another talking. I couldn’t of asked for a better night out. Thank you so much Dean for the coffee on fire. Amazing show. Over priced for the quality of food. You are paying for the view. Food was below average. They brought appetizer and bread almost.at the same time. I always enjoy dining here. I love the open city view, the white tablecloths and elegant atmosphere. The food is well presented, great choices and tasty (the bread pudding is a must for dessert!). The brunch buffet can sometimes be a bit crowded but it is kept well stocked and appealing. Getting acquainted with the buffet location and washrooms while the restaurant is circulating is all part of the appeal! A perfect spot for a special occasion! It’s a wonderful place to go for dinner. 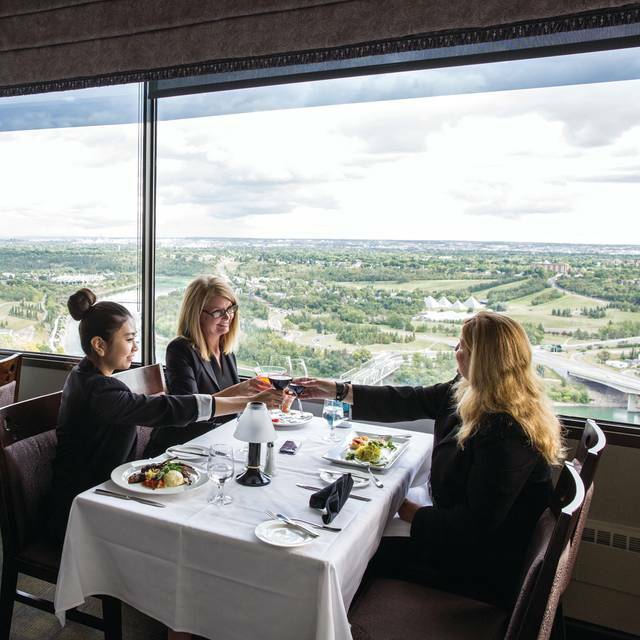 We tend to forget about La Ronde as a restaurant to go to. Really enjoyed it ! We have been going to LaRonde for our Anniversary for quite a few years and have never been disappointed. The food was delicious and the ambience was terrific. We did find that the service was a little slow this time considering it wasn’t over busy but overall would highly recommend it for any special occasion. Atmosphere was excellent and food was top notch. Would recommend!! It was a wonderful experience and we will certainly make a reservation on our next trip to Edmonton. Great service and great location. Parking and getting up there was a little confusing. But the food was absolutely amazing. Food was amazing,service easy and steady not rushed,the view was incredible from the riverboat queen and back again.Great dining will rcomend . First time. It was satisfactory. It was an exquisite place, love how the server's are very helpfull. Although it was abit noisy with kids crying. But I guess cant help it was st. Patrick's day. But I'd recommend coming here. The service was just okay. The menu for brunch entree had limited food choices, and were just ordinary items as compare to the price which is quite expensive. Dietary options such as vegetarian, halal or kosher should be available for those who had food restrictions. What a beautiful evening spent at LaRonde. Spectacular service, phenomenal food, beautiful views. All in all 5/5 hands down. Thank you! 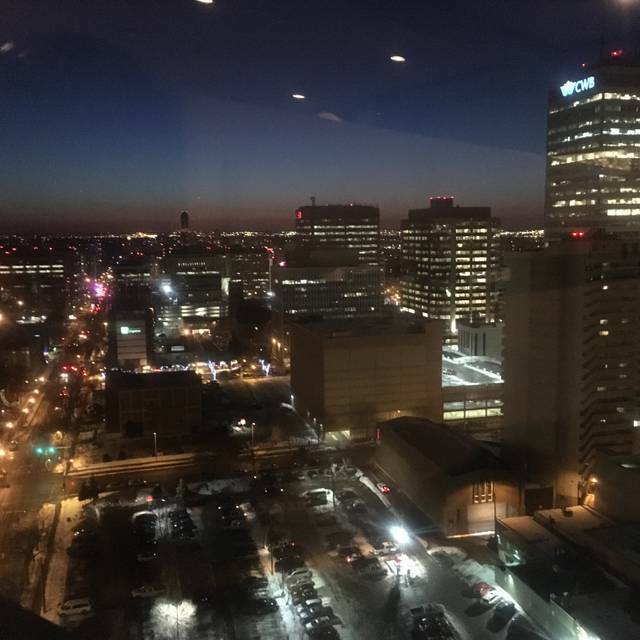 Amazing view of the city at sunset. Delicious food with Beautiful presentation. Service was charming. We had a wonderful time. Service was prompt and very friendly. Nice menu selection and they accommodate children. It’s quite pricey, but to be expected in an upper end restaurant. Decor was tasteful and they create a peaceful ambiance. Our server Colin I think his name was ( I think he was Irish ) was amazing my spouse and I eat at 5 star restaurants across Canada and US and we know good service when we see it ! He was amazing , fast , knowledgeable and pulled out all the stops to make us feel welcome. He made us very comfortable and made sure each course was perfect which they were! 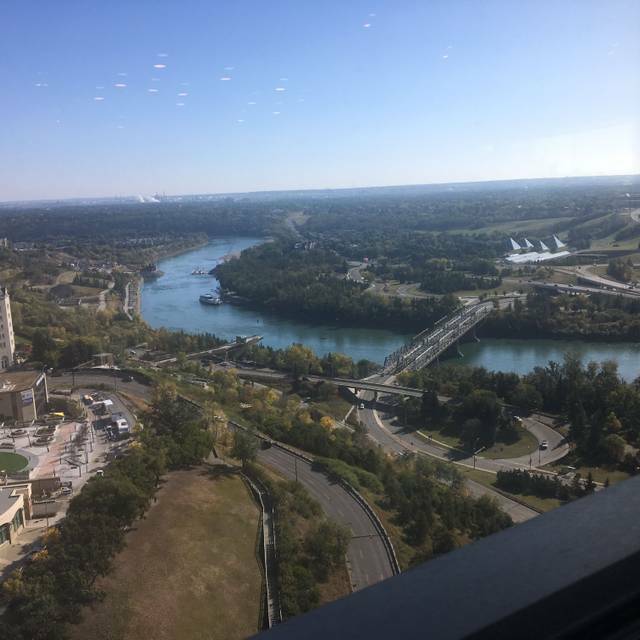 The hostess was also brilliant they must pick the perfect starting point to sit as we had some sun to start with and as the food came sun was not in our eyes and lined up perfectly to have main course facing the river valley. I have high expectations and they were met here ! The food —- wow——— everything we ordered was exception and presentation was beautiful hats off to the chef on the escargot. My spouse ordered the dish to start and I was forced to try a piece as I thought they are terrible - I am so greatful I did , I was a full on escargot hater until Sunday - the chef has made me willing to give things a second chance because they were delicious! Hats off to the restaurant all around , we will definitely be back and if Colin is working we will be requesting his section. 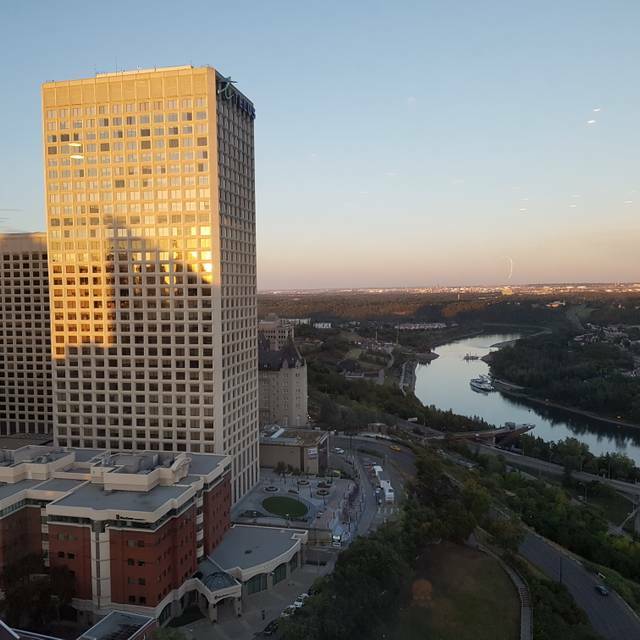 One of two revolving restaurants in Alberta and BY FAR the best one. The Chateaubriand still superb. A minor quibble, the wine list was "odd" but that is just opinion... A great experience! Superb food, and immaculate service. Meals and service was amazing as always. We really enjoyed it.